Open Enrollment: Is it the Right Time to Talk Wellbeing in the Workplace? Open enrollment is often overwhelming, but it may be a great time to talk about wellbeing in the workplace. 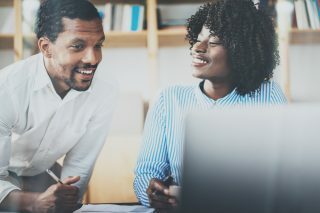 For Human Resource professionals, open enrollment can be daunting and marks a time of long hours, excessively busy schedules and additional stress related to ensuring a positive employee experience. Just getting to open enrollment requires months of pre-planning. With that in mind, does it make sense to add one more benefit or communication piece to open enrollment? If you’re like more than two-thirds of U.S. employers who offer some type of wellbeing benefit alongside your health plans, communicating wellbeing and employee benefits during open enrollment should go hand-in-hand. Yet many employers hesitate to do so for a number of reasons. Whether or not wellbeing programs are communicated during open enrollment can have implications. Being clear about your program goals and leadership mandates around a wellbeing program, will help you determine the most appropriate plan of action. Let’s start by asking the million-dollar question; “why are you offering a wellbeing program?” There are as many answers to that question as there are unique employers that offer wellbeing. 1. We want to control health care cost. If this is your answer, chances are your wellbeing incentives are tied to your health plan. It’s not uncommon for employers to establish certain criteria or standards as eligibility for benefit incentives such as lowered health care premiums or disincentives, and/or health plan choices based on wellbeing program participation and completion. With this in mind, open enrollment is the perfect time and place to communicate wellbeing benefits. It may also be critical in achieving your program’s goal of controlling health care costs. 2. We want to create a culture of wellbeing. Many organizations are moving away from an emphasis solely on cost control, to one of creating a company culture of health and wellbeing. Most are making the connection between company culture, productivity and employee perceptions about worksite health promotions. 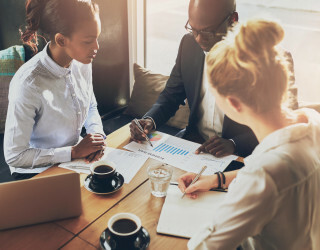 Experts seem to agree that the secret sauce in creating a company culture is having a strategic and consistent communication plan, supported by resources and policies that align with their mission, vision and business goals. If your goal is to develop a culture of health and wellbeing, communication still takes center stage and open enrollment is just another channel to communicate and align culture with your wellbeing program. Ensuring your wellbeing brand is highlighted during open enrollment will help the chances of it getting lost in all of the other benefit information being distributed. 3. We want employees to be educated, active participants in their own health. When employee health education is your primary goal, communication is key—and should be visible throughout the year. Whether you’re trying to motivate employees to complete biometric screenings, finish their Health Assessment, get their annual check-up or you’re trying to create a culture of health and wellbeing, there are multiple opportunities to use clear, consistent communication to your advantage. Open enrollment is simply one time during the year that you have a captive audience—so why not use it to reinforce your efforts of the next 365 days? These are all different but solid reasons to use open enrollment as the platform to communicate an employee wellbeing program. However, the downside can result in the diluted and sometimes confusing communications of one or both your benefits plan and/or your wellbeing program. Some employers choose to keep program effective dates and communication campaigns completely separate for this very reason. Even if your wellbeing program and your health care plans don’t have the same enrollment timeframe, a very high touch communication during open enrollment can keep interest in your program alive and well! About the Author: Miki Kobane, CHWC, CIC, CNS identifies opportunities to reduce risk, support culture, and improve the health and productivity of Priority Health members. As the director of wellness at Priority Health, she oversees the development of strategically designed wellness programs and applies her holistic philosophy to include a multi-dimensional approach to health and performance. Miki’s methodology includes financial, emotional, professional, organizational culture, workers compensation, disability risks and more. She has over 35 years of experience in employee benefits, human resources, and the health and performance industry. Miki is a Certified Health and Wellness Consultant, a Certified Nutrition Specialist and a Certified Intrinsic Coach®.